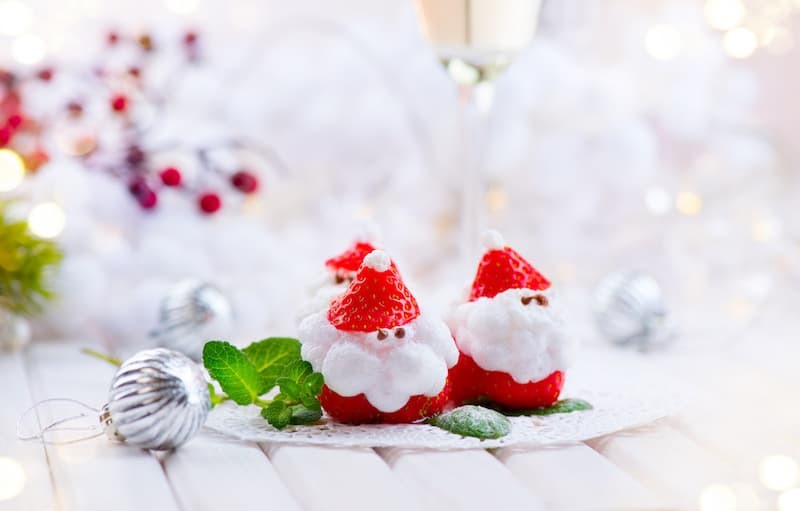 Make these cute mini Santa strawberries by turning the ends of the strawberries into hats! Three different frosting recipes – great Christmas dessert. I’m one of those last minute people when it comes to holiday parties. Last minute outfits . 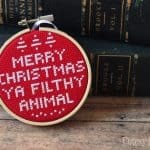 . . last minute hostess gifts . . . last minute Christmas desserts to bring. I always show up on time and you probably wouldn’t know what’s going on behind the scenes, but the last minute planning is always happening. 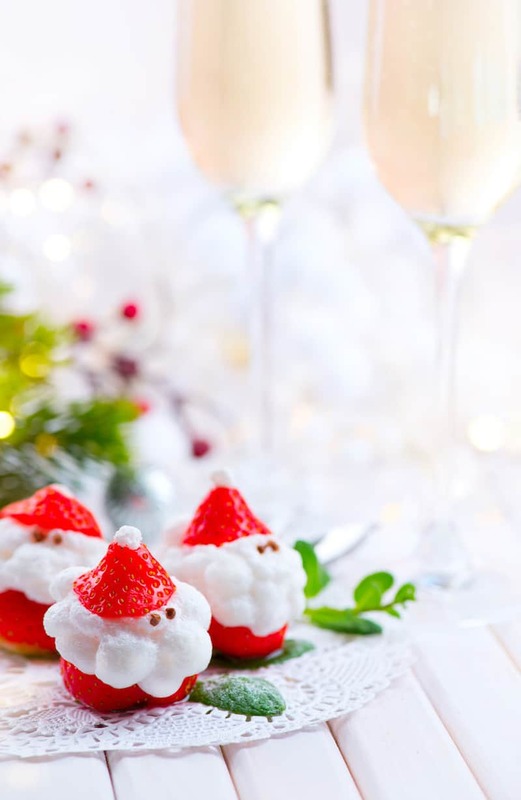 That’s why I rely on these mini Santa strawberries as a go-to holiday dessert recipe or appetizer. 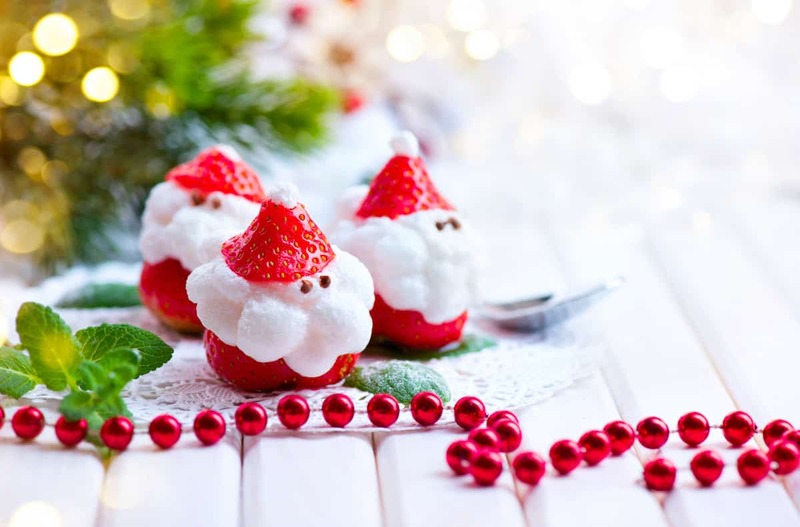 These mini Santa strawberries are so cute that everyone squeals when they see them, and they mention how you should probably put your idea on Pinterest because it’s so genius (even though it’s been done 1,000 times before, but no one has to know?). 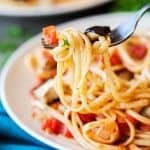 You can also make them as decadent as you like as I’m going to give you variations for three whipped creams: cream cheese, regular whipped cream, and even keto! 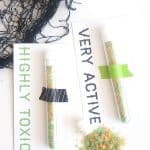 Yes, this little treat can be ketogenic and gluten free diet friendly. I really love it because this recipe can work in any Christmas situation where you need a dessert. It’s mostly strawberry so it’s relatively healthy (especially compared to other holiday desserts). AND you can place this dessert in the freezer for about 30 minutes before you go to your party so it travels well without melting. What more could you ask for? 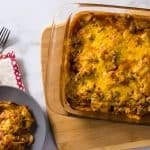 Here’s how to make them! Remove the strawberry hulls using a huller or knife. Discard. Flip the strawberry upside down and cut off enough of the base to make a hat. Make your whipped cream recipe (see below) in a metal bowl that has been in the freezer for 10 – 15 minutes. Pipe the whipped cream onto the base and place the hat on top. Put a dab of whipped cream on the top of the hat. Add eyes with chocolate frosting (or frosting that has been turned brown with food coloring). Beat the heavy whipping cream with a mixer or blender until peaks form. In another bowl, beat the remaining ingredients. Add the mixed ingredients to the whipped cream and fold together. Add 2 TBSP sugar to 1 cup of heavy whipping cream. Beat with a mixer or blender until peaks form. Add 4 – 6 drops of vanilla flavored Stevia drops to 1 cup of heavy whipping cream. 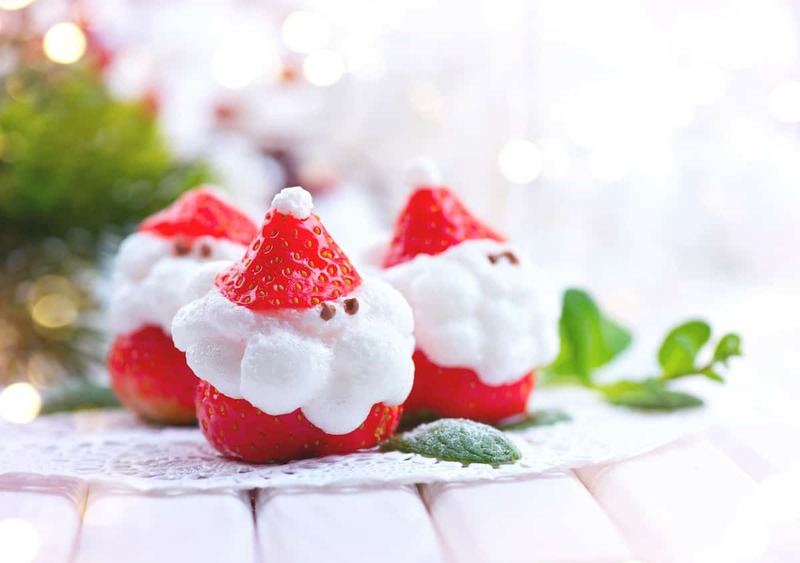 These mini Santa strawberries are kind of the cutest thing I’ve ever seen. I love them so much!